For the past few months, I’ve been working to help lure haiku poets from across the USA and Canada, and from many other countries, to Schenectady for the Haiku North America 2015 conference, with its theme “autumn term”, which was held at Union College from October 14 to 18. 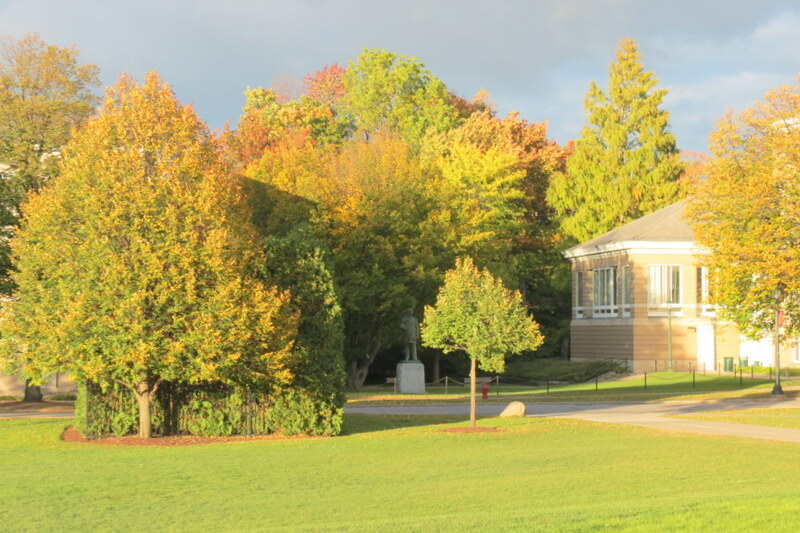 Part of my spiel included the splendid autumn foliage they could expect in our Region, along with the lovely buildings on the Union College campus, and its venerable and lovely Jackson’s Garden. The local committee organizing the Conference was surprised and pleased to find that over 130 haiku poets, publishers and educators from more than a dozen countries registered for HNA 2015. But, I was worried that our fall foliage array might disappoint. Well, my concern was unfounded. 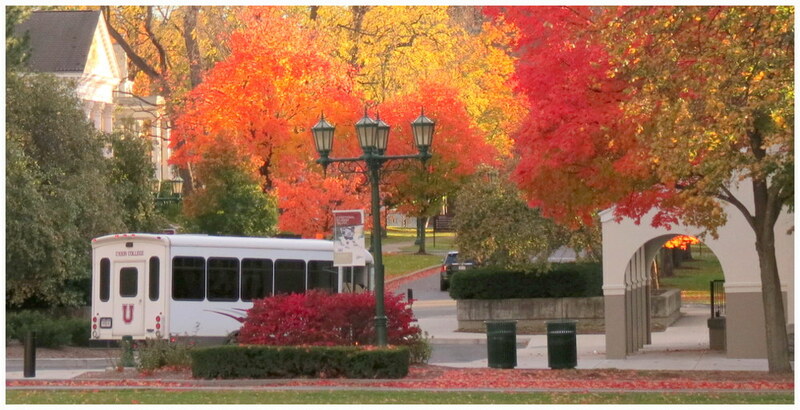 We had peak foliage for our trip to Williamsport and the Clark Art Institute on October 14. 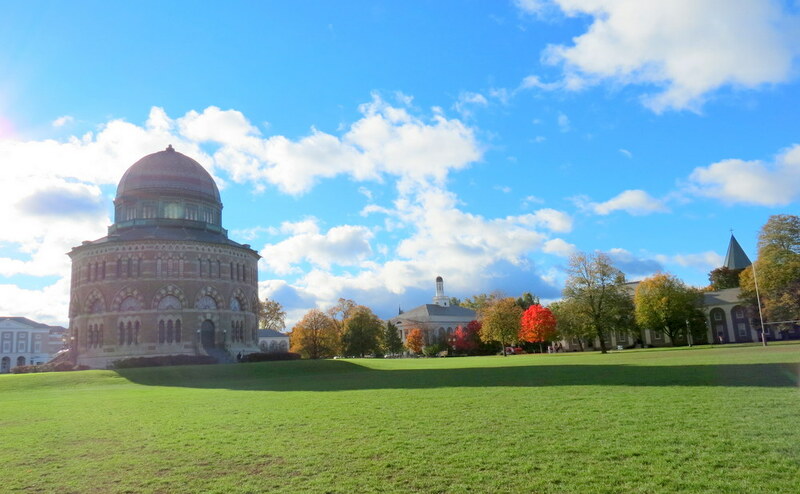 More important, Union College could not have been lovelier, as you can see in the following Slideshow, which shows the campus from October 11 through October 17, plus a follow-up visit this past Friday, October 24, when a past-peak array continued to charm. My introduction this year to the Union College campus in October has definitely started a new autumnal tradition for me, heading down Union Street to the campus, and I bet many viewers of this webpost will start a tradition of their own starting next October. Let’s see if you agree. 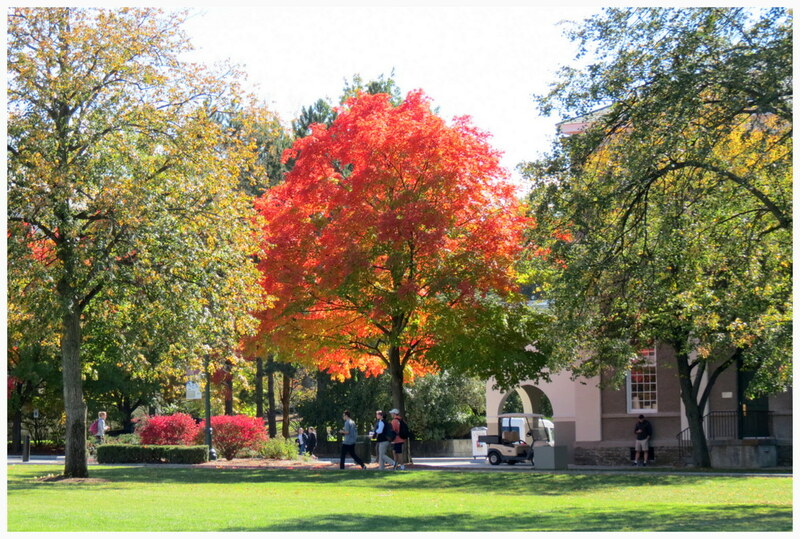 . . share this posting with the short URL http://tinyurl.com/UnionFoliage2015 . .
follow-up (Oct. 24, 2018): for more coverage of autumn colors at Union College, click here.